Birchley St Mary's RC Primary School: 500 words BBC Writing Competition! As some of you may have already heard, BBC Radio 2 have launched a writing competition for children aged 5-13. 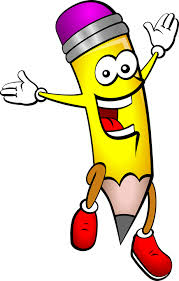 Miss Davies (Y5) has been overwhelmed by the enthusiasm of children throughout the school who want to take part in the competition, and is thrilled that there are so many who love to write! The competition itself requires children to write a story of no more than 500 words, about anything they like. The word count can drop below 500, but the competition organisers have suggested that the closer to 500 words it is, the better! Parents are required to create a login on the website and submit their child(ren)'s work for them once completed. They want to encourage good spelling, punctuation and grammar, but are not looking for perfection and want children to just enjoy using their imagination as much as possible! The closing date for the competition is on the 8th March 2019 at 7pm. If you have any questions, please feel free to get in touch with Miss Davies (Y5).